An introductory course in using Adobe Illustrator software for creating graphics and logos using vectors. You will cover the basics such as creating vector shapes, understanding and creating paths and a range of graphic elements for design. The course is ideal for beginners. Develop your understanding and skills in using Adobe Illustrator for creating graphics and logos using vectors. You will cover grouping vector elements, typography, symbols and symbol sprayer and other functions found within the Illustrator environment. The course is ideal if you have a basic knowledge of Illustrator. Learn all you need to know about getting started in Adobe Illustrator in a day. This course will give you the fundamental skills needed to use the software for vector graphics and logo design. You will learn about software functions and tools and have the opportunity to create an illustration of your choice. This is a beginner level course. 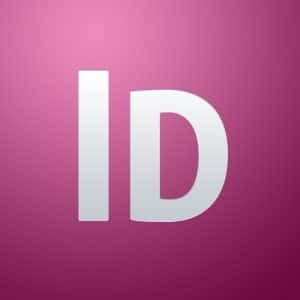 A one day course covering all you need to know in getting started with Adobe InDesign, covering the fundamental skills needed to use the software for desktop publishing and to create your own publications. You will learn about software functions and tools and have the opportunity to create a document of your choice. This is a beginner level course. 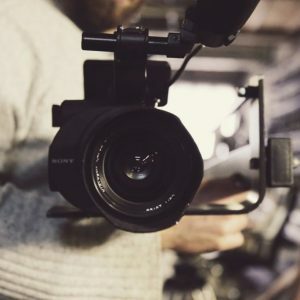 This introduction course will prepare you for the Level 2 Certificate in Creative Media for Television and Film course. You will be introduced to the terminology, equipment and techniques that will be covered in the accredited programme. A Level 2 accredited programme if you are choosing a career path in sound and music technology. You will develop your understanding of sound equipment, music technology, and its uses across a range of audio products and the industry. Just some of the aspects of the programme are mixing and recording, equalisation, and sound production software and equipment. Learning will take place in a well-equipped classroom with iMac computers and other film/sound production software and equipment. 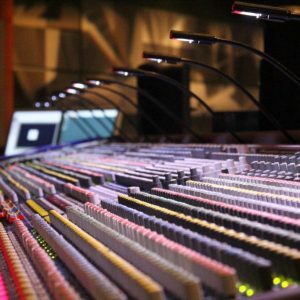 This introduction course will prepare you for the Level 2 Certificate in Digital Music Production course. You will be introduced to the terminology, equipment and techniques that will be covered in the accredited programme. A Level 2 accredited programme if you are choosing a career path in media, television or film. You will learn about the creative media industry, how to plan, and produce media products, and how to edit for film and television. Learning will take place in a well-equipped classroom with iMac computers and other film/sound production software and equipment. This introduction course will prepare you for the Level 2 Certificate in Film & Television Production course. You will be introduced to the terminology, equipment and techniques that will be covered in the accredited programme. This introduction course will prepare you for the Level 2 Certificate in Graphic Design. You will be introduced to the terminology, equipment and techniques that will be covered in the accredited programme. Learn the basics and fundamental skills involved in editing photographs and images using Photoshop. You will practise editing images such as cropping and straightening a photo and adding special effects using the various software functions. The course is ideal for beginners. Develop your understanding and skills in using Adobe Photoshop software for editing photographs and image manipulation. You will build on the basics, learn about layers and how to use them and become familiar with using shape tools to enhance the quality and style of an image. The course is ideal if you have a basic knowledge of Photoshop.